In preparation for the construction of the six-mile Phase II BART Extension, VTA needs to know more about the soil and the location of utilities in the path of the future project. This information helps us advance the design and engineering of the BART tunnel, station, and other facilities and avoid project delays once construction begins. Phase II of this project will extend the BART line from the Berryessa station into Downtown San Jose and Santa Clara, with four stations and a 5-mile tunnel under Santa Clara Street. 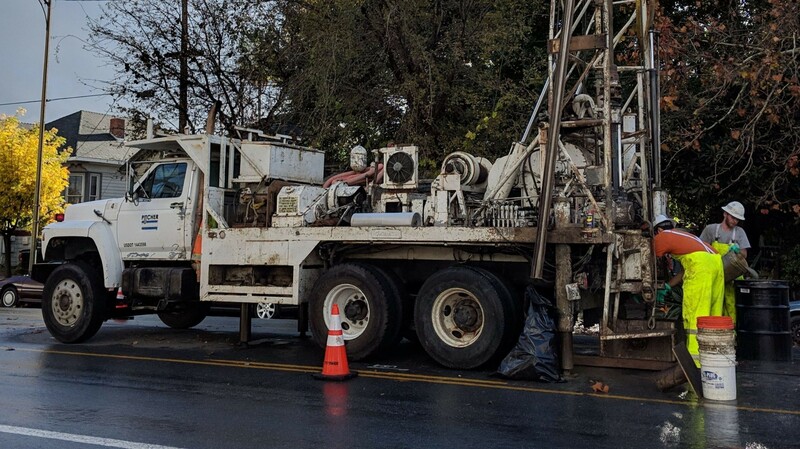 The subsurface exploration, utility investigations, and geotechnical borings will take place on surface streets, private property, and occasionally on sidewalks as crews work to assess conditions underground. All working areas will be restored and reopened at the end of each working day. VTA staff has been out in the field to inform residents, business people and others in the community about the work and will continue to do so two weeks, and again 72 hours before field work begins. You can also get more information from current construction notices at http://www.vta.org/bart/construction.